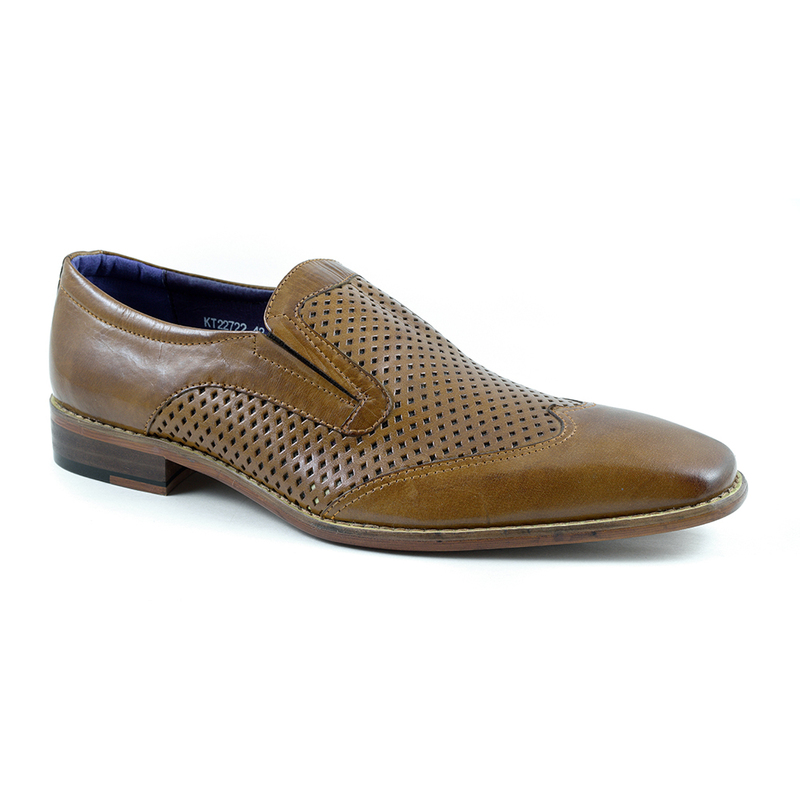 A light and airy design with punch out perforation which make this a cool casual style slip-on. 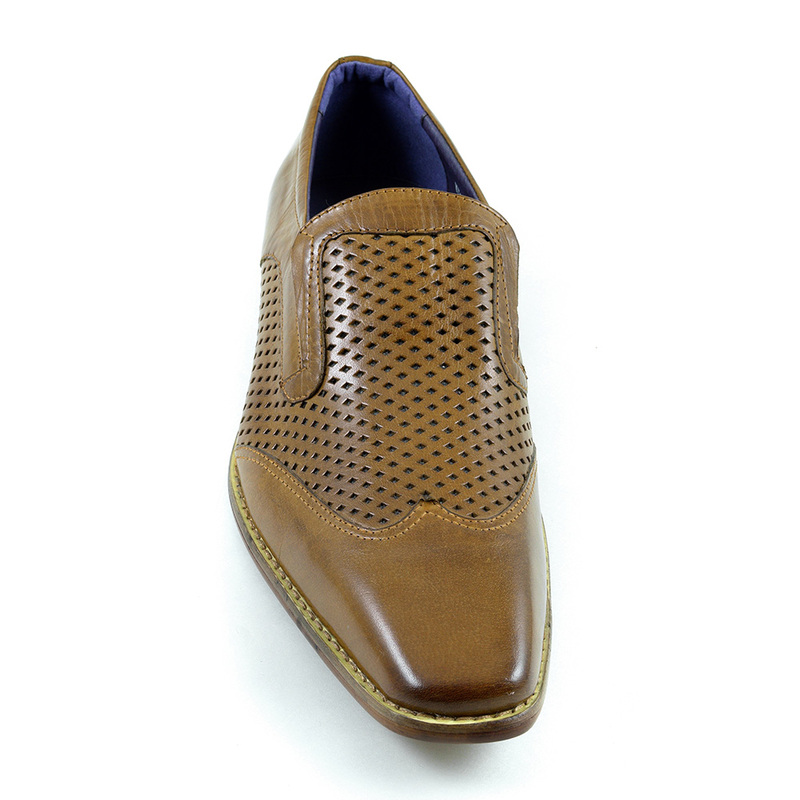 It has a wing tip and stitch detail to the outer sole. 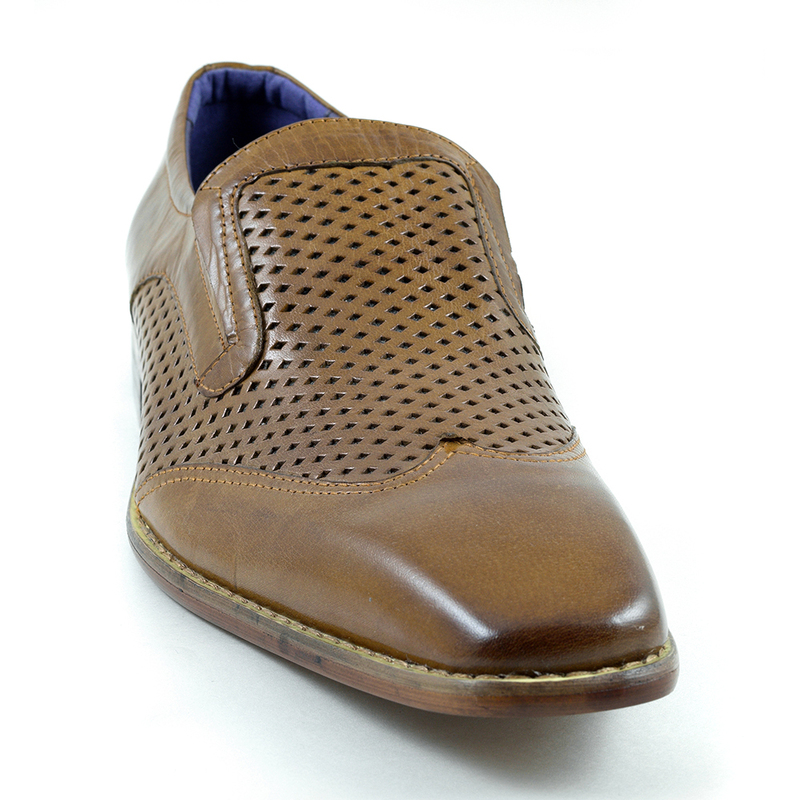 It is a perfect semi-formal shoe for a relaxed vibe. Great with shorts or suits. Be the first to review “Rafael Tan Slip-On” Click here to cancel reply.